Zakynthos | Boat Trips | Boat Rentals | Authentic Local Experiences: Tsilivi…a resort that is ideal for families and couples of all ages and offers unforgettable and relaxing holidays. 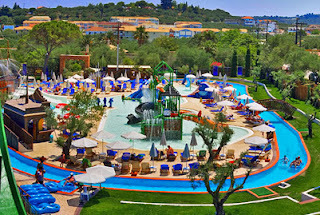 Tsilivi…a resort that is ideal for families and couples of all ages and offers unforgettable and relaxing holidays. Tsilivi is ideal for families and couples of all ages. It offers high standard facilities to its visitors and guarantees a memorable stay to all of them. 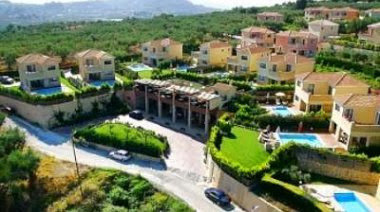 It is located 7km from the airport and 5km from the city of Zakynthos. You can reach it either by the local buses, that run daily and almost hourly to and from the area, or by taxi. Tsilivi offers a wide variety of restaurants featuring both Greek and international menus, bars with entertainment for all ages, sports bars, super markets and popular art shops with Zakynthian and Greek products. 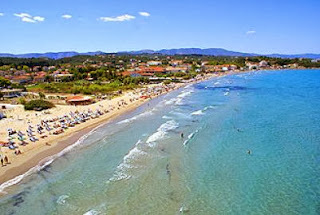 The beach of Tsilivi is one of the best on Zakynthos and has been awarded with a blue flag of excellence for its water quality, safety and services. The sea is shallow and sandy thus suitable for children and on the beach there are many options for beach bars and water sports. There is also a water park only 500 meters from the center of the resort and a bowling center right in the center of it. Don’t forget to visit the Milanio Maritime Museum which will impress you with its exhibits that feature 4,000 years of Greek history and the pottery factory of the area where you can observe clay becoming a work of art. We have search Tsilivi intensively and we know it inside out. We know very well the accommodation and the facilities it offers. 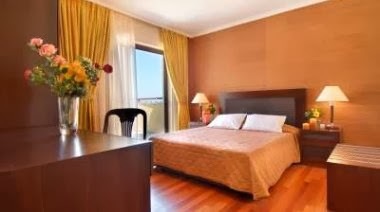 We assure you that if you choose Tsilivi for your holiday we will suggest and inform you for the ideal place for you depending on your wishes and demands. People that open their door to everyone who wishes to have a memorable stay. 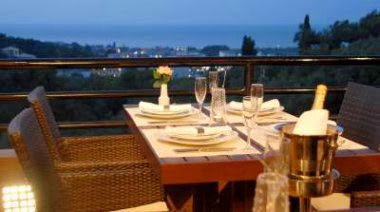 The Greek hospitality and service of Panayiotis, the owner, will definitely impress you. 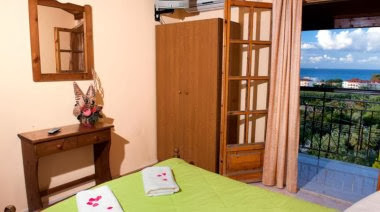 A low budget accommodation that is suitable for everyone and it is maintained with love and care. 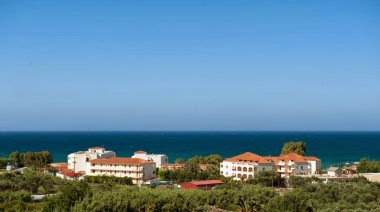 Abelia Studios is located 500m from the beach. 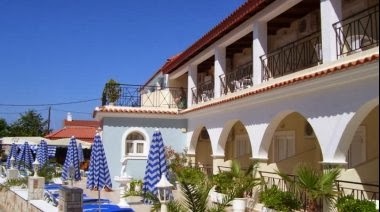 Facilities: Outdoor Swimming Pool, Garden, Children’s Swimming pool, Luggage Storage, Pool snack bar, Continental breakfast buffet available at extra charge, Pool-table, Free Wi-Fi Internet access in the rooms and public areas, Free private parking is possible on site (reservation is not needed). 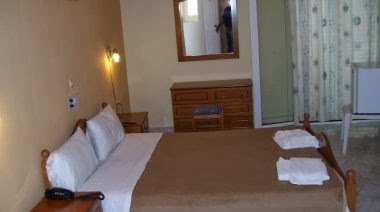 Prices starting at 17€ per night. 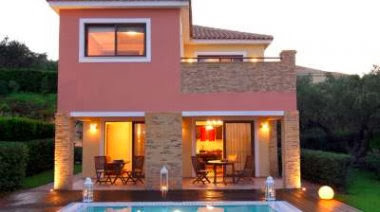 An exceptional accommodation that is located right on the Tsilivi beach. Andreolas Luxury Suites offer high standard facilities, luxury and carefully maintained areas that will satisfy even the most demanding guests. Don’t forget to try the breakfast! Unique tastes solely prepared by the owners that you will never forget. Facilities: Bridal Suite, Private Beach Area, Bar, Sun beds and umbrellas on the beach, Snack Bar, Library, Room Service, Laundry, Ironing Service, Free Wi-Fi Internet access in the rooms and public areas, Free private parking is possible on site (reservation is not needed). Prices starting at 80€ per night. 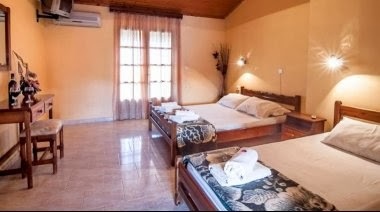 Zante View Studios totally confirms its name and offers a fantastic view of most of the island of Zakynthos Located over a hill and surrounded with green in the Tsilivi area, it is the ideal place for relaxing and reviving holidays. 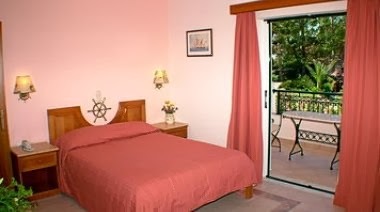 The distance from the beach is 900m but it is not something you should worry about since the view, the facilities, the peace of mind it offers and the people of Zante View Studios will give you an unforgettable holiday. 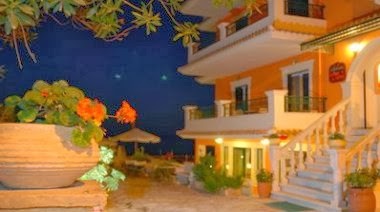 Facilities: Snack bar, Swimming Pool, Outdoor showers, Garden, Restaurant (à la carte), Continental breakfast buffet, Children's Swimming pool, Children's Playground, Safety Deposit Box, Free Wi-Fi Internet access in the rooms and public areas, Free private parking is possible on site (reservation is not needed). St John Villas Hotel & Spa is an one of its king complex of villas with facilities that guarantee relaxation and comfort for everyone. 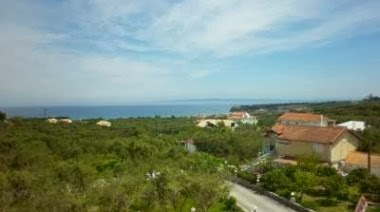 All villas are spacious and fully equipped with private pools and breathtaking view over the Ionian sea. 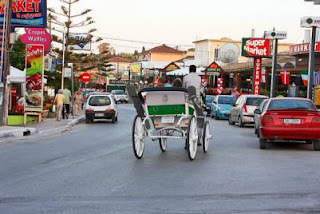 It also offers beauty and care services, spa and a restaurant where you can explore tastes from Zakynthos and other parts of Greece but also international ones. What will definitely amaze you though is the staff of St John Villas Hotel & Spa. Not only will they do their best in order to provide you with the best of services but they will also be your friends and give you any information you wish. The distance from the beach is about 1.9km and it won’t be a problem because of the privacy and the quality of services and facilities St John Villas Hotel & Spa offer to its guests. Facilities: 16-hour reception, Luggage Storage, VIP Room Facilities, Mini market, Outdoor Swimming Pool, Bar, Gym, Restaurant (à la carte), Children's Playground, Snack Bar, Hammam, BBQ Facilities, Jacuzzi upon extra charge, Babysitting/Child Services, Spa & Wellness Centre, Sauna, Massage, Library, Free Wi-Fi Internet access in the rooms and public areas, Free private parking is possible on site (reservation is not needed). 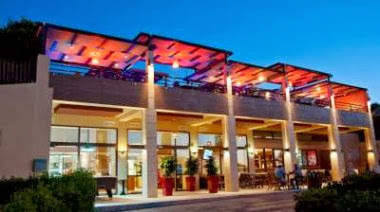 Apollon Hotel is low-budget, decent hotel that is located only 50m from the amazing, blue flag awarded beach of Tsilivi. There are options for breakfast or half-board, a well maintained swimming pool and most of all people that take care of everything for you anytime of the day or night. 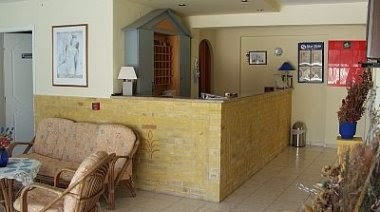 Facilities: Pets allowed, Pool snack bar, Outdoor Swimming Pool, Garden, Family Rooms, Bar, Restaurant (buffet), Continental breakfast buffet, Children's Swimming pool, Luggage Storage, Free sun beds, 24-Hour Front Desk, Free Wi-Fi Internet access in the rooms and public areas, Free private parking is possible on site (reservation is not needed). Prices starting at 13€ per night.